I spent some time alone last night. That sounded a great deal nicer than it actually was. There was no manicure, no spa, and not even any wine. 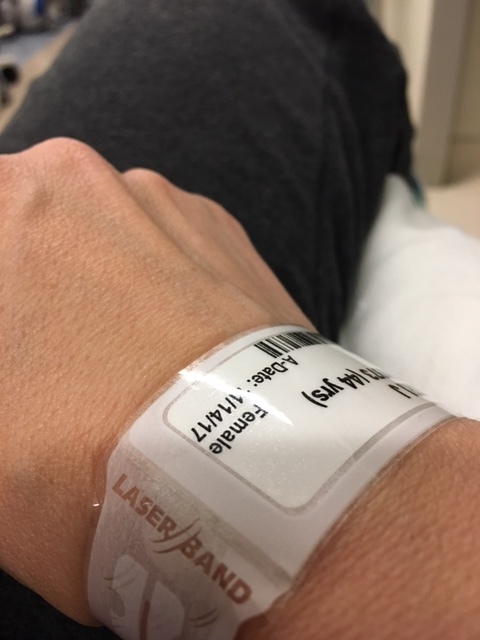 Last night, after working, taking my daughter to her orthopedist on Long Island, and sitting in traffic home, I finally had to address the feeling that something large was sitting under the rib cage on my left side. It was a process to arrive there- a mental game I played for about 12 hours. But, I got there. You might have Cowden’s Syndrome if… you have ridiculously large “stable” lymphangiomas on your spleen that outsize the spleen itself. Because, hey, we grow things. You might have Cowden’s Syndrome if… it occurs to you as you’re teaching that you are actually acutely aware of the previously mentioned spleen. You might have Cowden’s Syndrome if… you then proceed to launch into a logical, rational series of scenarios, while completing your math lessons. You might have Cowden’s Syndrome if… you know that the day may end with you in surgery, yet, you still make sure your daughter has the follow-up appointment she needs for the knee that has its own Cowden’s related issues. You might have Cowden’s Syndrome if… you can carry on a conversation with your teenager through 90 minutes of traffic while simultaneously setting up your strategy… just in case you need your spleen removed. You might have Cowden’s Syndrome if… you can get everyone settled at home and then sneak out to the “mall” (read Urgent Care) in hopes that a doctor will tell you your spleen is just fine. You might have Cowden’s Syndrome if… while you are waiting for the doctor, you access the sonogram report from your last spleen scan in February. Scanning the spleen is a regular occurrence, so you have the “mychart” app open and ready. You might have Cowden’s Syndrome if… you listen as the doctor tells you he’d like to get you to the Emergency Room “as soon as possible” to address the abdominal swelling and rule out a rupture. You thank him for his time, shake his hand, decline his offer for an ambulance because your gut tells you it’s not THAT bad, drive yourself home and figure out how you’re going to travel to a hospital where you could possibly handle surgery if you needed it. You might have Cowden’s Syndrome if… you’ve been through enough atrocious hospitals to know when to stay local, and when you must travel… just in case. You might have Cowden’s Syndrome if… you contact your job to let them know you’ll be absent the next day. Because, even if you don’t have surgery you’re sure it’ll be a late night. And then, as you hang up you start to wonder if you did the right thing. Because, sick days are hard to come by, and you can get by on little sleep, and maybe you should have waited till the morning. You might have Cowden’s Syndrome if… you reassure your husband all is well, while helping your anxiety filled daughter get to sleep. All before you mention the need to get to the ER. You might have Cowden’s Syndrome if… you can calmly text your husband what you’ll need for your bag, just before you’re sure your daughter is asleep. Then, explain to him that you’re driving yourself. You might have Cowden’s Syndrome if… you can lovingly reassure, while starting to feel a little nervous inside, because, you do what you have to do. You might have Cowden’s Syndrome if… you call a friend or two from the car, with your full on brave voice, just to pass the time. You might have Cowden’s Syndrome if… you drive to the ER, park the car, tell the attendant in the garage you’re not quite sure when you’ll be back, call your husband to tell him where you put the parking receipt, and walk into the ER to check in. You might have Cowden’s Syndrome if… you don’t even have to provide an insurance card because your information is so active in the computer. You might have Cowden’s Syndrome if… the triage nurse says “What?” three times as she takes your blood pressure and asks about your medical history. You might have Cowden’s Syndrome if… you can watch the attending from your “bed” in the crowded hallway “Google” Cowden’s Syndrome before she comes over to you. 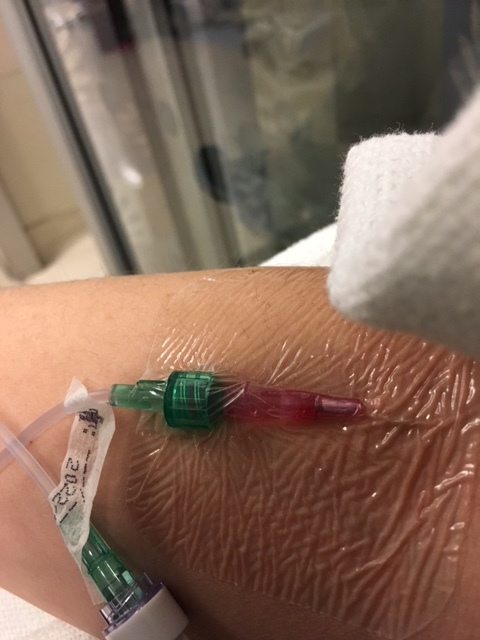 You might have Cowden’s Syndrome if… you take a picture of your IV once it’s in. Because that’s a thing in our family. No, it’s an actual thing… really. You might have Cowden’s Syndrome if…you can wait better than most people. You can settle into your “chairbed” in the hall, while people are ill and vomiting, and you’d rather be anywhere but there, and you can keep your blood pressure and heart rate calm. You might have Cowden’s Syndrome if… you knew to pack two battery chargers for your phone, a t-shirt, and a bottle of water. The bare necessities in a hall where there was no one to attend to you and no plugs. 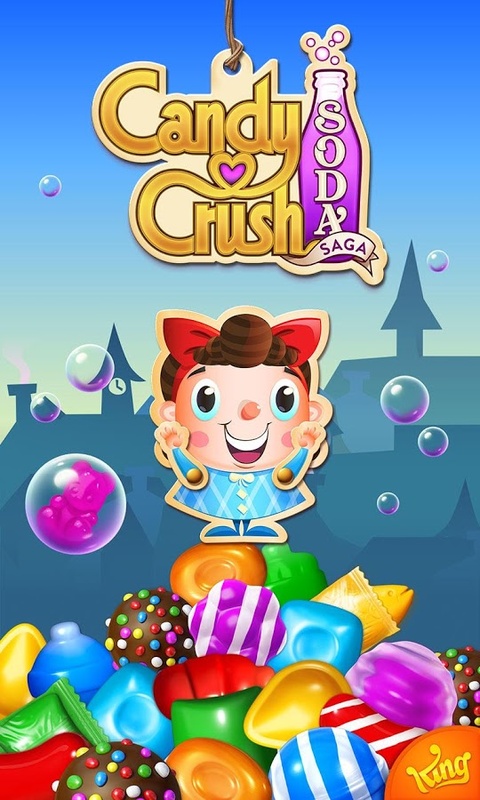 You might have Cowden’s Syndrome if… you can resign yourself to drinking a full container of lethal tasting contrast dye while ordering yourself new sneakers on amazon, and a few gold bars for “Candy Crush Soda Saga,” because, hey…it’s the little things. You might have Cowden’s Syndrome if…the attending who ‘googled’ you hours before, is fully perplexed at your visibly swollen and tender spleen and your negative lab results. So she says, “That’s not what I expected. It’s good, but unusual…” And you laugh to yourself. Hard. In your brain of course. You might have Cowden’s Syndrome if… when the CT results come back as “multiple stable hypodense spleenic lesions” and that same attending says, “you should follow-up with your primary doctor tomorrow,” you smile in your head again. You know this means the spleen is safe for now. You know this means no emergency surgery. You also know you already explained you DON’T HAVE a primary doctor, because seeing a million specialists means sometimes you lose track of what “routine” means. Plus, no one is too interested in being your (or your daughter’s) case manager because “rare disease” is high risk. But, you take your walking papers because tonight your spleen won’t rupture. And, hey, it’s the little things. You might have Cowden’s Syndrome if…before you sign your discharge they mention an “incidental finding” of some spinal deterioration that you should “probably point out to your primary doctor,” and you can’t quite stifle the laugh that time, as you are reminded about taking the used car to the mechanic… and the fact that no one is really listening to you anyway. 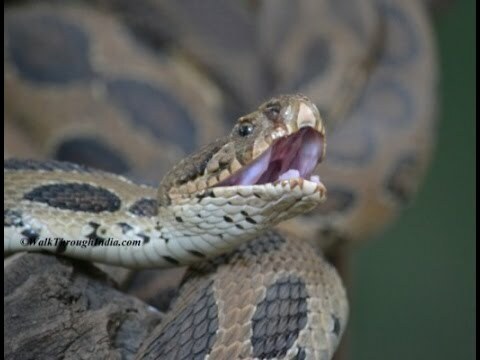 You might have Cowden’s Syndrome if… you can see the vipers slithering around as you gather yourself, stretch your side that feels exactly as it did when you walked in, and navigate your way out. You might have Cowden’s Syndrome if…you wake the parking garage attendant at 2:30 AM and retrieve your car. You head home relieved, grateful, and overwhelmed. You might have Cowden’s Syndrome if… you actually contemplate heading to work in 4 hours to save the sick day, but think better of it. You plan the morning with your husband, text your daughter her directions, remove all traces of the hospital from your body and slide into your bed. You might have Cowden’s Syndrome if… it takes you a few minutes to settle as you contemplate your “night out” and you wonder if a night out will ever again include fun, friends, and wine. You might have Cowden’s Syndrome if…you think about the number of times you and your daughter have been to the hospital courtesy of this syndrome, and you wonder how many more there will be. You might have Cowden’s Syndrome if… you want to get mad. Really mad. But, you can’t. Because after all, you get a warning system. You get to check it, scan it, and test it, BEFORE it ruptures, and BEFORE it spreads. You know how tired you are, and how sick of it you are, but you also know how fortunate you are, and how SO MANY people would actually give anything for that warning system. You might have Cowden’s Syndrome if… you miss your friends, but you know there will be time again. Eventually. And in your heart you know they are all there. You miss socializing, ever. You wish a night out wasn’t bridge and tunnel tolls and a parking garage at a hospital. You might have Cowden’s Syndrome if…you are not quite sure you have the physical or emotional strength, or hours in a day, to get through the next few weeks. Yet, you strengthen your resolve and readjust your mind into tiny, manageable chunks.